Aquaponic Gardening Is Trending But What Is It? Having plants around doesn’t just spruce up your home—it’s also scientifically proven to make you feel better (no really, we checked). Something else that adds instant zen to your living space? A fish tank full of gliding fish and swaying seaweed (that’s another fact). 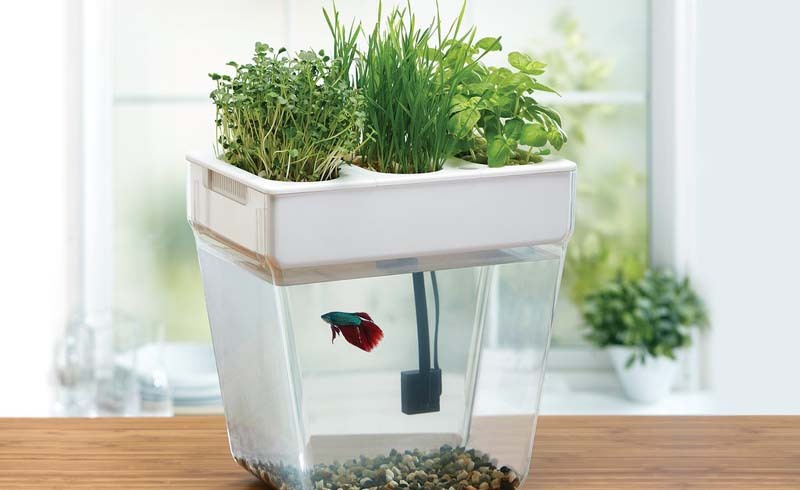 And now you can combine both with the coolest new gardening trend: aquaponics. Aquaponic systems are being used on a large scale on farms across the country, but they can also be used by plant (and Finding Nemo) lovers at home. 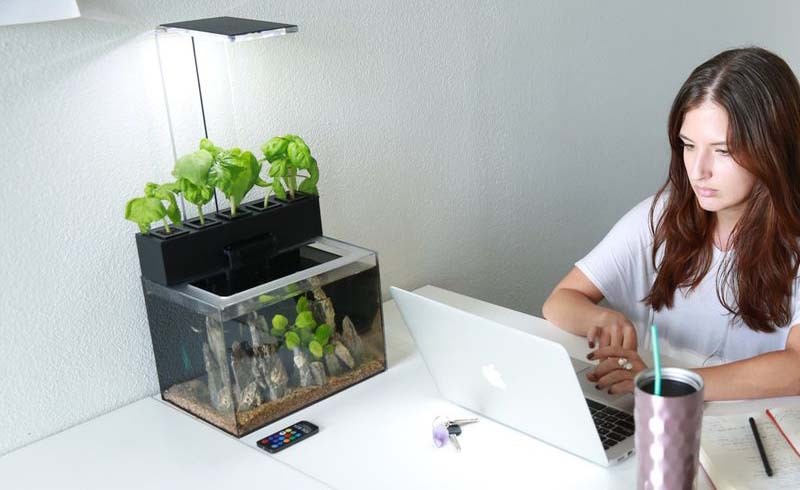 Yep, you can have your very own fish-tank-slash-plant-bed in your backyard or on your kitchen counter. Intrigued? Get started with a kit from Amazon that does all the hard work for you (it’s not just plants, water and fish—you’ll also need some microbes to get things going, but these are included in the set). The only thing left for you to do is pick out your fishies (tilapia, koi, angelfish and guppies tend to work well, per the Nelson and Pade aquaponics organization) and your plants (like lettuces, herbs or regular houseplants). And because the plants are being fed by the fish tank, your chances of killing them (like you did with those orchids your mom gave you) are significantly reduced. We’re feeling more relaxed already. U.S. Daily News: Aquaponic Gardening Is Trending But What Is It?